Over at Alex on Film I’ve been watching three adaptations (I use the word loosely) of Ernest Hemingway’s short story “The Killers.” Of course, I just watched them together because they’re all included in Criterion’s DVD package. Robert Siodmak’s 1946 version is classic noir, and very good. For some reason Andrei Tarkovsky’s student film is the closest to the source. I’m not sure if he’d seen Siodmak’s movie. Finally, Don Siegel’s 1964 version, originally planned as a TV movie, has some interesting credits but struck me as a pretty lousy flick. 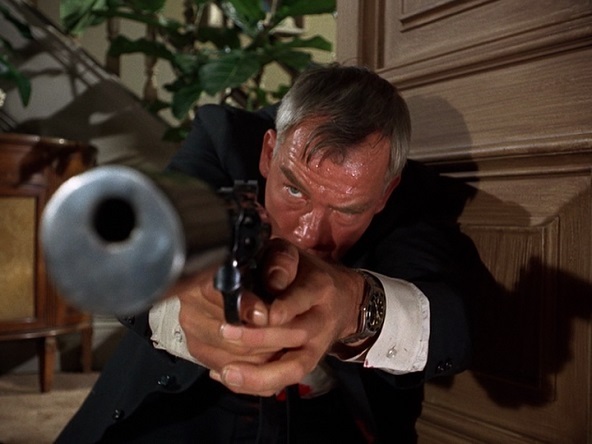 It gave Lee Marvin a nice warm-up for Point Blank though.